On Monday, LightningEllen from Livid Lightning and Kim from Later Levels revealed the first #LoveYourBacklog Week: seven days devoted to showing your backlog some love, rather than the fear and guilt it usually engenders. I’ve never seen the backlog as a particularly negative thing. As Kim argues in her post on the subject, having a backlog means that you always have something to play — something new to experience, something new to explore. 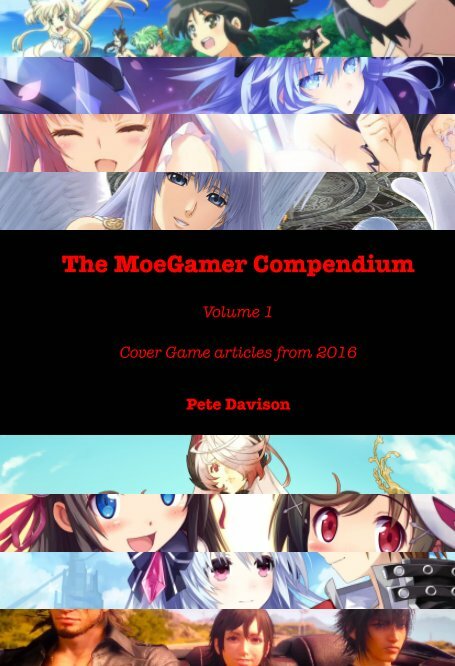 And since starting MoeGamer I’ve really relished having this huge library of titles just waiting for me to delve into in detail and write, make videos and otherwise enthuse about them. 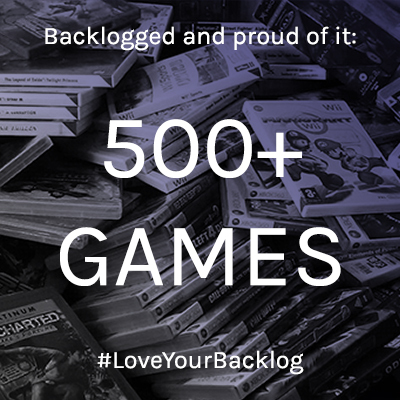 So what is going on with this whole #LoveYourBacklog thing? Well, for starters, people are proudly displaying the size of their backlog via badges on their blogs — if you’re reading this on desktop or tablet, you should see that over on the left. And from there? Well, read on. 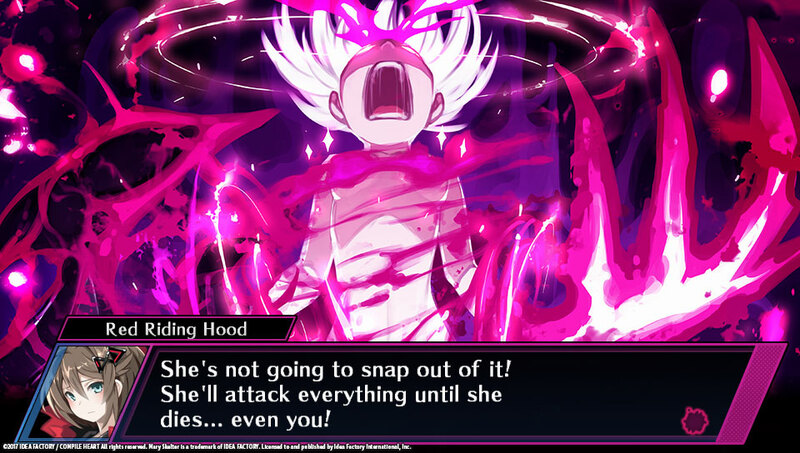 Mary Skelter: Nightmares — absolutely being covered this year! Part of deciding what to play from one’s backlog comes from determining a few things about the games that comprise it. To that end, Kim and LightningEllen wanted to know a few things about everyone’s collections. Before I jump into the various “categories”, I just wanted to talk a bit about my own attitude towards collecting. In simple terms, I look at collecting games as something of an “investment” for the future. Not a financial one, mind — though a few things I have on my shelves have increased in value as time has gone on — but rather an investment for my own entertainment and I’d even go so far as to say my own mental wellbeing. By having shelves bursting at the seams with games I haven’t played yet — but, crucially, that I have every intention of getting to at some point — I can pick a game to suit my mood. And, by extension, I can provide a variety of different types of material for both MoeGamer and my YouTube channel. 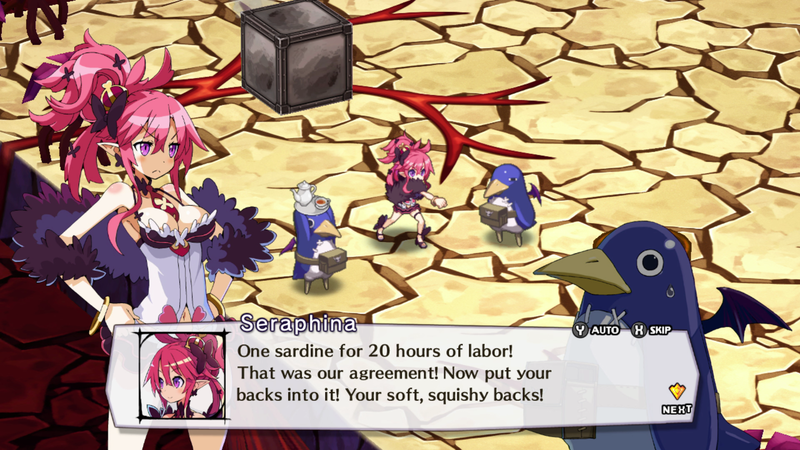 Disgaea 5: A terrifying prospect! I buy games because they look interesting, because I know I’ll enjoy them — I know myself pretty well by this point — and because I know there’ll be some fun things to write about them. And while sticking to that principle has meant my backlog has grown rather than shrunk over time, I wouldn’t change it for anything — I’m as excited and thrilled by every new game I fire up for the first time as I was when I was a kid, and that’s a feeling of joy I never want to lose sight of. With all that in mind, then, let’s get to Kim and LightningEllen’s categories! 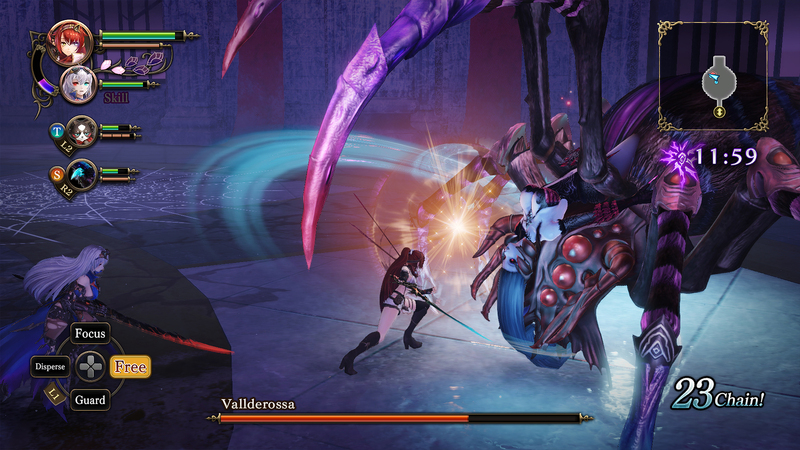 Nights of Azure 2: also coming this year. Probably. Were you listening to what I just said? I pick up games because I know I’m going to play them. Maybe not right now, maybe not in a week, month or even year, but at some point, everything on my shelves is something I’m going to try. I don’t buy games that I know I won’t enjoy, hence the lack of complicated fighting games in my collection — I know I don’t get along with that type of game (with a couple of exceptions) so I simply don’t bother with them in the first place. Okay, I talk a big game here (no pun intended), but this is mostly with regard to my physical game collection. When we bring digital — mostly Steam — into the mix, it’s a bit of a different story. I actually haven’t catalogued my digital collection as yet, but I can already tell you that you’re much more likely to find a game I’m never going to play in my Steam library than you are on my game shelves. So let’s pick one I know that is never going to get the time of day at semi-random… hmm. A few years back, I had the good fortune to be sent on a paid freelance writing assignment to visit Focus Home Interactive over in France. They were holding an event at which they were showing off a variety of different games that they would be publishing in the next couple of years, and there was a really broad mix of stuff on offer. I ended up writing about Dontnod’s Vampyr and Cyanide’s Call of Cthulhu, but I saw a lot more games than I had the opportunity to write a full article about. One of those games was Mordheim: City of the Damned, a game based on a Games Workshop tabletop game that my friend Tim had a bit of experience with and, before he went and rather selfishly procreated with his wife, was trying to convince me and a few others to start playing. It sounded cool, if a bit complicated, so I was intrigued to try a digital adaptation. At least I was until I played the early demo version at the event. This game does not ease you in gently, and will quite happily butcher you if you’re not familiar with the rules or indeed the general concept of “strategy”. I have never played Mordheim on the tabletop — though I do have experience with a number of other Games Workshop games — and my strategic prowess is… a little questionable, shall we say. So this relationship was never going to work out. So why do I have a copy on my backlog, completely unplayed? Well, like most stuff in my Steam library that I have a copy of but have no intention of playing except under exceptional circumstances… you can blame Humble Bundle. The issue here is how you define game length. Take, say, a shoot ’em up — do you define its “length” as how long it takes to play once through from start to finish (about 20 minutes in most cases) or how long you’re likely to keep returning to it over time to chase high scores (potentially infinite)? For the purposes of this, I’m going to go by the game from my backlog that I 1) haven’t played at all and 2) I believe will probably occupy my attention for the least amount of time in total. 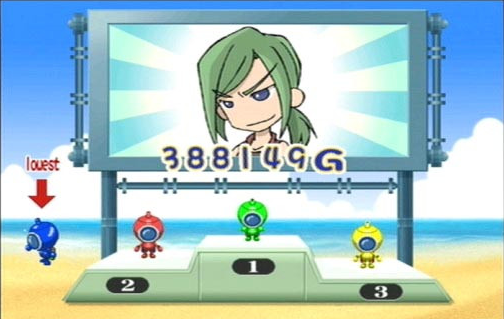 And with that in mind, I estimate that this game will be Twenty 2 Party for PlayStation 2, a member of the Simple Series that I haven’t gotten around to even trying yet, and almost certainly won’t really have a chance to try “as intended” with multiple real-life players. It’s an underwater-themed party game, and beyond that I don’t know a lot about it. I anticipate I will try it maybe once or twice solo, realise that multiplayer-centric party games really are best with multiple people, and then probably never touch it again. But it was 50p, so I’m not complaining. Easy. Disgaea 5 Complete. A terrifying prospect. And this isn’t even taking into account I also have all the other Disgaea games too. Next! Tricky one. 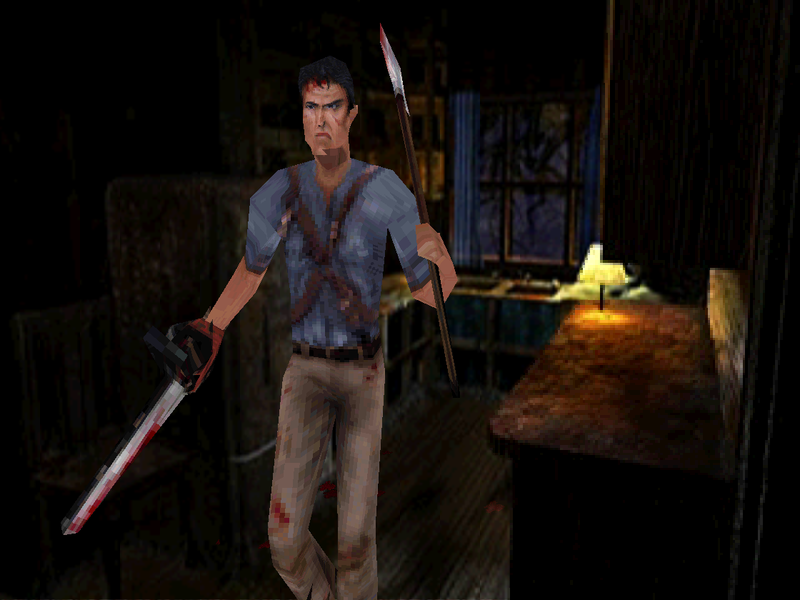 I think it’s probably Evil Dead: Hail to the King on PlayStation 1, a game which I acquired by accident from a friend at some point circa 2002, and which is proudly on my shelf inside half of a Colin McRae Rally jewel case. I have never booted this game up, am not sure I am ever going to and I am not even 100% sure how it came into my possession in such a peculiarly fragmented manner. I suspect some sort of mind-altering substance was involved. Regardless, it’s a fun memento of a particular time in my life. Hey, Owen, if you’re reading this, let me know and you’re welcome to have it back. 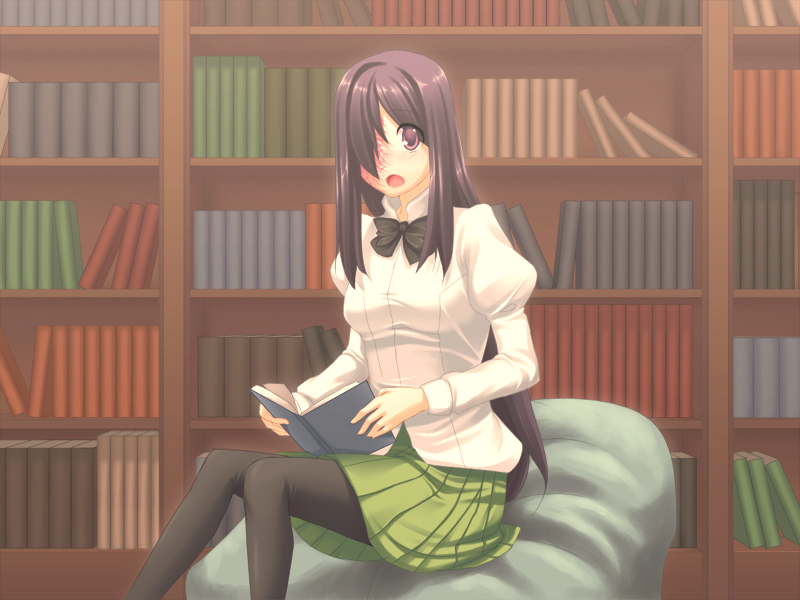 Katawa Shoujo: This game — and this girl — are pretty much the reason you’re reading this right now. Well, it’s obviously me. I’ve always had a bit of an independent streak in terms of the popular media and culture I choose to engage with, but this has become a particularly prominent character trait since approximately 2011 or so, which is when I really discovered my love for modern Japanese video games and visual novels. Prior to that — particularly throughout the PS1, N64, PS2 and Xbox 360 periods — I was relatively susceptible to peer pressure, and would often pick up games that my friends suggested I “should”, primarily to play multiplayer with them. Over time, I started to realise that this provided a less than satisfying experience, and indeed brought my attention to the few games out there that I actively dislike — most notably, Call of Duty: Modern Warfare 3, which I once described as “one of the most insulting games I’ve ever played”, and the Gears of War series, which just does everything I dislike about modern third-person military-style shooters all in one convenient package. I do not own either of those games any more. At a pinch, I’d also say my regular podcasting partner Chris has a certain amount of influence on me, but we’re also aware that our tastes aren’t identical, so his enthusing about a particular game doesn’t necessarily mean I’m going to rush out and pick it up. 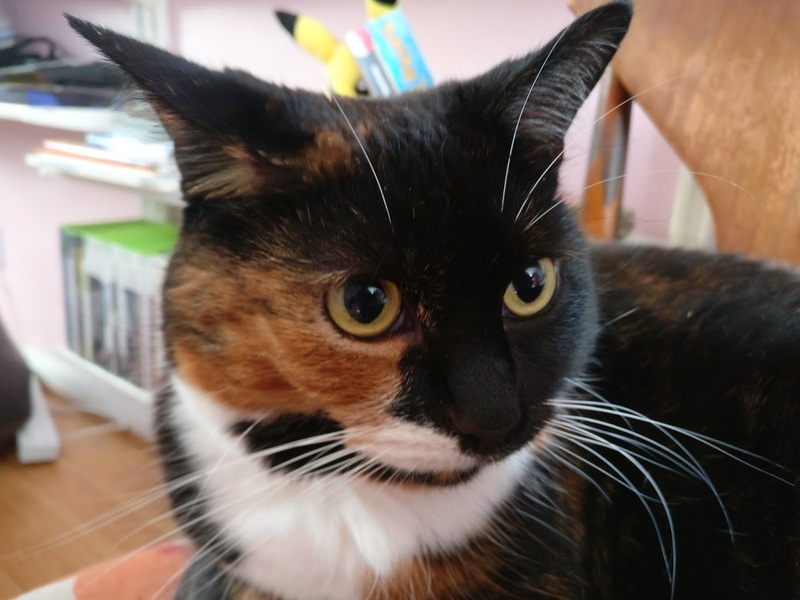 Likewise for people I chat about games with here on WordPress or on Twitter; everyone has their own individual tastes, and I’ve become pretty comfortable and confident with mine by this point. 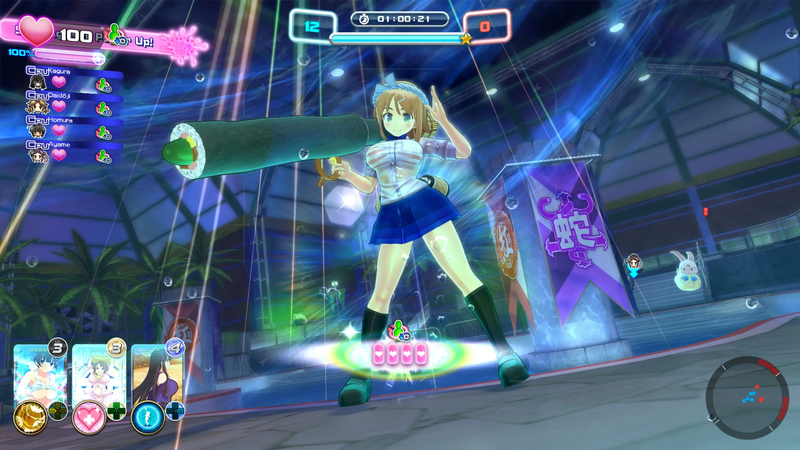 Senran Kagura: Peach Beach Splash — also on the list! So where do we go from here? Well, I’m making 2019 a year that I plough through a bunch of stuff I’ve been meaning to tackle for ages. In fact, this really started last year with my Project Zero coverage — I first played the original Project Zero back when the 1up.com Radio forums were still a thing, and somehow never actually beat it back then. It was a good feeling to finally cross something off the list that had been festering there for a long time — and then to hammer through all its sequels in rapid succession, too. Exhausting? Yes. Fun? Yes. Love your backlog. Because it’s always there for you! I had a similar response to Mordheim. I thought I’d enjoy it but it does little to guide you early on and leaves far too much for you to work out for yourself. I gave up after an hour or so. Yeah, it’s a shame, as I really like the concept. I guess it’s one of those games that probably works better in its original tabletop incarnation, with an experienced player (who has read the manual from cover to cover) there to help you! You’re definitely a terrible influence on me buster. The power of Chinese waifu tiddies. I can’t help it if they’re your elemental weakness. I love what you wrote about games being an investment, and not necessarily a financial one. That”s such an uplifting way to look at it. Disgaea 5 is a great game and an excellent start to the series. The nice thing about 5 is that, unlike older titles, it gives you a cheat shop about a third of the way through the main story that lets you increase and decrease the amounts of EXP, mana, and weapon/skill mastery you get in fights, allowing you to more effectively powerlevel. It still takes a while to finish, of course, but if you don’t care about post-game content the length really isn’t that bad, at least when compared to other RPGs. But then I’m biased – Disgaea is one of the two game series I still religiously follow. Disgaea… not caring about post-game… does not compute! Man, I can really relate to having a huge backlog. I even made a Backloggery account to keep track of it all, and it’s ridiculous how many games I own that I haven’t even played once, let alone haven’t finished. 2019 is also going to be a year where I try to chip away at my backlog, particularly older classics that I’ve never gotten the chance to beat, like DKC2 and Mother 3. I hope you’re successful in doing the same!